The first thing you must do is to price the property correctly. Price is the main attraction for buyers and a big differentiator. The real estate market has been sluggish for the past few years. Sales have plunged and prices are falling due to high inventory. In such a scenario, selling a house is not easy. But what if you had bought it as an investment for a goal such as your child's education and cannot wait? Don't worry. We tell you how to get the best possible price, and that too quickly, for your house. The first thing you must do is to price the property correctly. Price is the main attraction for buyers and a big differentiator. The right price tag will attract more buyers. Pricing your house incorrectly can cost you dearly. "In case of both overpricing and underpricing, the owner is guaranteeing that he or she won't be optimising returns on his or her efforts," says Advitiya Sharma,co-founder & marketing head of housing.com, a mapbased home search portal. Underpricing will lower returns. But if you overprice, especially when the market sentiment is not very upbeat, the house may not find any takers. You may also have to spend considerable time and effort to dispose of the property. Asking for a price that is much higher than the market rate will put off potential buyers. Mayank, a nonresident Indian, has been planning to sell his house for the past six months. He is demanding Rs 90 lakh for his three bedroom-hall-kitchen flat with an area of 1,200-1,300 square feet (sq ft) in Indirapuram in Delhi-NCR. The asking price comes to Rs 6,900 per sq foot. 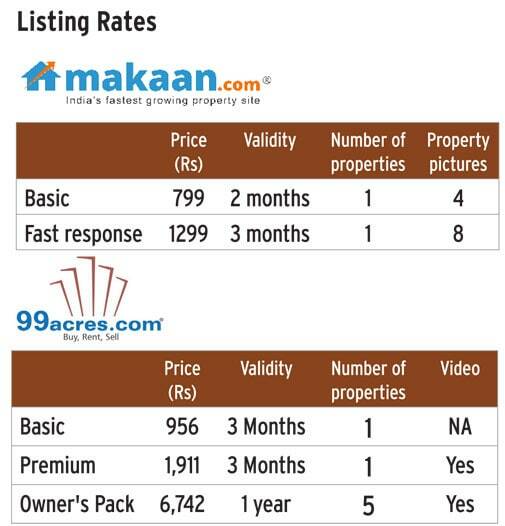 But the average price in Indirapuram is around Rs 5,700 per sq foot, according to makaan.com. He is expecting a premium of Rs 1,200 per sq foot over the market price. He could have possibly got some premium in the boom period prior to 2008. But in today's sluggish market, where there are few buyers, it will be tough to sell a house, especially an overpriced one. "You must look from the buyer's viewpoint. Personally visit houses up for sale in the neighbourhood. Ensure that these houses are in the same price range as yours and evaluate them on the basis of design, size, proximity to infrastructure, connectivity and condition," says Vineet K. Singh, business head, 99acres.com. Compare your asking price with that of other properties available for sale in the area. Experts, in fact, say that if you want to sell your house quickly, you can give a small discount by keeping the asking price lower than what others are quoting. This will attract more buyers. "Open your home to potential buyers. See their reaction in the first 30-40 days. If they are not making offers, it is probable that you have priced the house higher than it deserves," says Singh of 99acres.com. But what if the house still does not find a buyer? Sumit Jain, co-founder & CEO, commonfloor.com, says, "One can take out the property from the market for some time and re-list it later. This is because owners of residential properties that are not sold for a long period are compelled to cut prices as agents and buyers start asking questions about why it is not being bought." There are various property websites like makaan.com, commonfloor.com, 99acres.com, magicbricks.com and proptiger.com which provide price data for specific areas. You can also go to local brokers as they know the price trends in their areas. First impression is important. So, a fresh coat of paint will add value to the property. Minor repairs like fixing leaking faucets, broken windows, damaged stairs and chipped-off plaster can have a positive impact. The house should look neat, tidy and spacious. Jain of commonfloor.com says take professional help if required. "Home staging with the help of a professional is the best way to score among competitors in a slow market," he says. Home staging is preparing your house for sale and involves cleaning, doing repairs and adding furniture. It is among the most crucial aspects. If you don't have time and don't want to take the trouble of showing your house to every interested party, hire a broker. It will save you a lot of time, effort and energy. The broker will also help you in negotiations and paper work. But don't forget to do a thorough background check on him. Confirm his reputation and ask about the fee he is going to charge before entering into an agreement with him. Spread the word among friends and relatives. Use social media. Maybe you will get lucky and find a buyer among those known to you. Advertising through online portals has also become popular over the years as these days most potential buyers do basic research online. "The advantage of online listing lies in the fact that you are able to attract buyers from far-off areas that may not be possible through conventional methods. Your advertisement is visible to buyers 24x7 and they can contact you through phone or SMS", says Aditya Verma, CEO, makaan.com. But there are certain things you should keep in mind while advertising on online portals to make it more effective. a) Take pictures and upload as many as you can. If possible, describe the property, and highlight features like availability of power-back-up and furniture. b) Never give wrong information. Today buyers are extra cautious and check the smallest of details. Giving wrong information can lead to cancellation of the sale. c) Another way of differentiating your property is using premium paid services provided by these websites. This ensures that your property appears on the top in searches. "Most property sites offers basic and premium listing options. If an owner wants his property to appear on top, he must furnish full details of the property and take the premium listing option," says Verma. Another service online portals provide is verifying the property by visiting it personally. "Posting photos and listing amenities is infinitely more useful when these details are independently verified. Many portals do it for a fee," says Sharma of housing.com. "All paperwork related to selling and handing over of the property should be kept handy. This will ensure that the deal closes faster. Apart from the sale documents, one should keep proof of prior purchases, property tax receipts and major installations in the house. 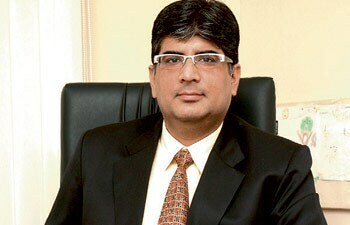 Both parties should also agree on the payment methods," says Verma of makaan.com.